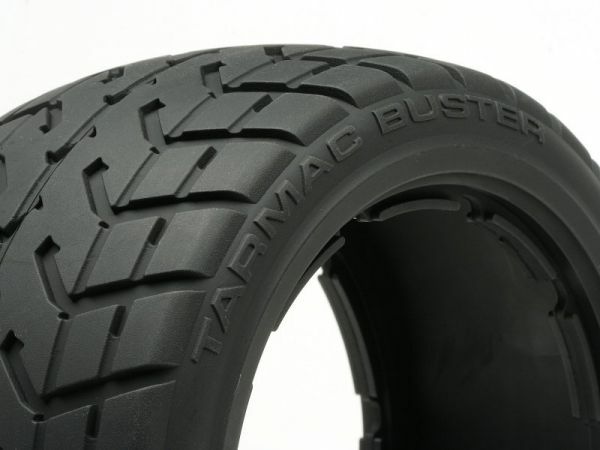 HPI Baja 5B owners...Tarmac Buster front and rear tires are now available! Save your knobby tires for the dirt, these new front and rear tires are the ticket for asphalt, concrete, or even hard packed clay. Molded in HPI's exclusive M Compound, the Tarmac Busters have an aggressive street tread pattern that delivers outstanding grip on the street. Sold in pairs, these tires are a direct replacement for the factory Baja 5B tires.